For business hours, contact information and office locations, please visit our CenterTix contact page. CenterTix box offices are located in both main lobbies of the Alaska Center for the Performing Arts. During regular business hours and during performances in the Discovery Theatre, Sydney Laurence Theatre or Elvera Voth Hall, CenterTix opens the box office in the Carr-Gottstein Lobby which faces 6th Avenue next to Kaladi Brothers (across from Humpys). For performances in the Atwood Concert Hall, CenterTix opens the box office in the Lorene Harrison Lobby which faces Town Square Park. Entrances to this lobby are off both 5th and 6th Avenue at F Street. 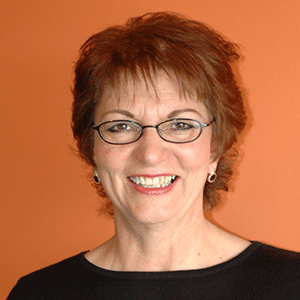 The Lorene Harrison Lobby box office opens 90 minutes before Atwood performances. I am having trouble buying tickets online. What should I try? We are always eager to improve our services and implement new ideas. We’ve learned a few tricks that often lead to success. Please see if these ideas help you today. If you run across an issue not listed below, please contact us directly and we will work to resolve it ASAP. If problems occur when purchasing tickets or logging into CenterTix.com, then your cookie settings might be set too high. In order to fix this, enable cookies in your internet browser. I cannot reach the buttons near the bottom of the screen. If you are using a smartphone or tablet, try rotating the device to a landscape orientation. I am losing tickets in my shopping cart. What is happening? Tickets will stay in your shopping cart for a limited duration. If an order is not completed during that time, then the tickets will be released back into inventory within the next 30 minutes. I cannot select my seats online. What should I try? 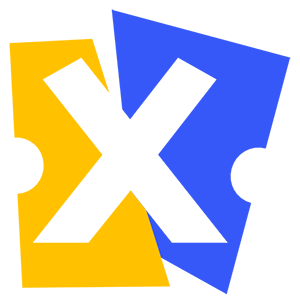 CenterTix.com is compatable with all standard internet browsers. Whether you use Chrome, Safari, Internet Explorer, Firefox, Edge or Opera, you should be able to navigate the site successfully. If you are having difficulties, please check for any available software updates. Some personal browser settings can also interrupt functionality. 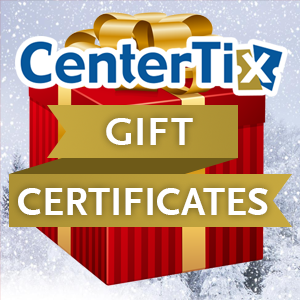 To take advantage of all the features of CenterTix.com, please be sure that your browser is configured to enable popup windows and to accept cookies. If all else fails, we recommend using a different browser. Why do I get an error when I try to charge my credit card? If you are having trouble completing your order, please contact us. We want to help. Occasionally, a charge is rejected even though all the information provided is accurate. The error message that you receive will help you determine your best course of action. When I click “Place Order” I am returned to the “Checkout” screen. Is the order complete? Successful orders end with an “Order Placed” screen that clearly states that “Your order is complete.” Several different situations could prevent an order from finishing. Please read the error message appearing in the red popup box at the top of the “Checkout” screen for specific information. If any one of the following messages appear, please do not attempt to finish the order again without updating your information. Address verification (street address) failed. The Billing Street Address must match the street address on your Credit Card Statement. Each attempt will tie up additional funds on your account. The Billing Adress Zip Code must match the Zip Code on your Credit Card Statement. Each attempt will tie up additional funds on your account. This transaction cannot be completed with the information provided. Please check that the credit card number was entered correctly. If everything appears to be accurate, contact your credit card issuer for more information. Why was my credit card charged multiple times for the same order? If an attempt to buy tickets fails for any reason, the funds associated with that attempt remain in a pending status on the account associated with the credit card. Pending transactions automatically clear from the account within several business days of the attempted charge. During that time, these funds are not available. Only the funds associated with orders that were successfully completed actually post to the credit card account. You can check your successfully completed orders by logging into your CenterTix account. CenterTix can send you a password reset email. If you cannot remember your password, enter your email address in the appropriate field of the "My Account" page and click the “Forgot your Password?” link located next to the login button. A password reset email will be sent to you. You might need to check your spam or junk mail folder for this email. Please contact us for additional help. Are there any charges or fees associated with ticket prices? CenterTix has some of the lowest fees in the industry. Because our fees are exactly the same online as they are over the phone and at our box office, you can choose the most convenient shopping option for your busy lifestyle. I didn't receive my order confirmation email (or my electronic tickets). What should I do? Check your spam mail or junk mail folder. For GCI accounts, check your Mail Guard. If you purchased your tickets online, you can log into your account here. From your account, you can download your tickets directly from the website. If you need assistance, please contact us directly. Please have your order number ready if possible. We can double-check the email address provided during the purchase process and resend the confirmation to you. If you selected “Print@Home” or “SmartPhone” delivery, you have a couple options. Option One — Open the tickets from the order confirmation email. Opening your tickets is easiest when images are loaded. If images are blocked, find the link to download them at the top of the email message. For SmartPhone tickets, the link to your tickets is located below the order number and reads "Mobile Tickets." From your smartphone, follow this link to download your tickets. For Print@Home tickets, the link reads “Print Your Tickets.” Follow this link to open your tickets. Print this entire document (one page per ticket). Please contact us directly if you need assistance. Option Two — Open your tickets online from your CenterTix account. Under "Recent Orders," select the order you wish to print. The link to your tickets is in the “Shipping Details” section of your order. Now that I have my tickets, how do I get to my seats? 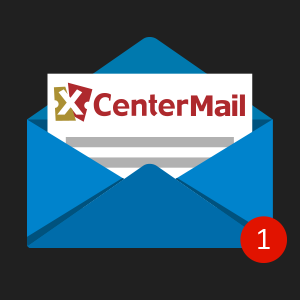 If you selected “Will Call,” “Standard Mail” or “Priority Mail” delivery, your tickets will be printed by CenterTix. Choose "Will Call" if you would like to pick up your tickets rather than having them delivered via mail or email. Will Call tickets may be picked up at the Alaska PAC box office prior to the day of the show during regular business hours; or at the performance venue within 1 hour of curtain. If you choose the latter, please try to arrive at the venue at least 30 minutes prior to curtain to avoid waiting in long lines. Remember, an ID is required to pick up tickets. Why do I have to show my ID when I pick up tickets? We want to make sure that the person who purchased the tickets is the one who receives the tickets. Exceptions can be made by contacting CenterTix prior to the event. Someone else is picking up my Will Call tickets. What do I need to do so they won't have any problems getting the tickets? We can leave Will Call tickets under an alternate name only at the request of the credit card holder. Please contact CenterTix and provide the name of the person who will be arriving with photo ID to pick up the tickets. Please provide the order number when possible. My tickets are waiting for me at Will Call. How early should I arrive to claim my tickets? We recommend arriving at least 30 minutes prior to the performance to claim tickets as there may be a long line of people waiting to purchase or pick up their tickets as well. You may also pick up your tickets before the day of the show at the Alaska PAC box office during regular business hours. I purchased my tickets through CenterTix but the performance is in another venue. Where and when should I pick up my Will Call tickets? Usually, Will Call tickets will be available at the venue at least 60 minutes prior to curtain time. Exceptions will be posted on the performance description. Before the performance date, tickets are available for pickup at the CenterTix box office during regular business hours. Check the event description or contact CenterTix for more detailed information about any performance. I can't use my tickets. How do I get a refund? All ticket sales through CenterTix are final. Refunds are only available for cancelled performances. Donate the tickets back to the event presenter. 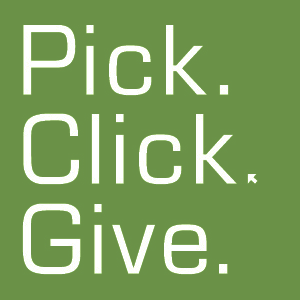 Tickets to events presented by most non-profit arts organizations (e.g. Anchorage Concert Association, Anchorage Symphony Orchestra, etc.) can be donated back to the presenting organization. Call CenterTix at 263-ARTS for more information. Resell the tickets - Alaska has no statutes banning the resale of tickets. 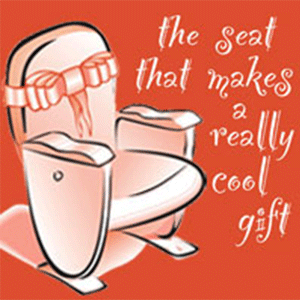 Gift the tickets - Gifting the tickets to someone else will show your friends and family how much you care as well as put a smile on someone's face. Exchange the tickets. Many tickets are eligible for exchange. Please call CenterTix at 263-ARTS to see if your tickets are eligible for an exchange. Exchange fees will apply. A single ticket is a ticket purchased for a single performance or event. What is a subscription ticket? A subscription ticket is part of a package of tickets purchased simultaneously as a special promotion. A subscription package usually consists of tickets to three or more shows presented by the same organization (e.g. the Anchorage Symphony Orchestra). Usually these tickets are sold at a discount and come with additional subscriber benefits. Not all promoters offer subscription tickets. I have a youth ticket but an adult is going to use it instead. Is this OK? Please bring the ticket to the box office so we may exchange the ticket to reflect the adult price and include the Municipality of Anchorage fee. The MOA requires that all adults pay this fee. The difference in the total price of the ticket will also be collected at the time of the exchange. My tickets were lost or stolen. What should I do? CenterTix can reprint your tickets and hold the replacements at Will Call. Once we find a matching transaction, the lost tickets will be reprinted and placed in will call for you. A reprint fee of $1.00 per reprinted ticketed will be collected when the replacement tickets are picked up. Why do babies need tickets? For most events, babies need tickets to enter the theatre. Parents may hold children younger than two (2) years on their laps. Exceptions are determined on a show-by-show basis by the event’s promoter. 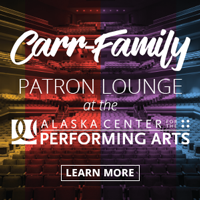 The Alaska Center for the Performing Arts strongly recommends that children six (6) and younger not be brought to the events except for family events specifically described as such by the event’s promoter. When young children come to an event, the accompanying adult is responsible for making sure the youngster does not disturb nearby audience members. How do I forward mobile tickets to a friend? The link to forward a mobile ticket to a friend is on each mobile ticket. Following the “forward to a friend” link opens a new window that displays each ticket that is eligible for forwarding. Check all the tickets that you want to forward to the same email address and enter the destination email address. Press send. It's that easy. Please be sure to enter the recipient’s address correctly. Alerting your friend in advance that you are sending the ticket is recommended. Tickets that are not received due to full inboxes or address errors cannot be resent. How do Apple Wallet tickets work? If you have an Apple device, you can store your tickets in your Apple Wallet. Apple Wallet tickets are available for all shows that allow electronic tickets. If you select “Print@Home” or “Smartphone” delivery for your tickets when you order them, you will be able to add your tickets to your Apple Wallet from the order confirmation email. Open you order confirmation email. Press “load images” at the top of the email message. In the “Tickets” section of the email message, press the "Apple Wallet" icon next to each of the tickets you want to store in your Apple Wallet. You will repeat this step for each ticket you want to add to your wallet. Follow the prompts each time you press the Apple Wallet icon. The next time you open your Apple Wallet app on your device, you will find your tickets sorted by performance date.